Win tickets to see Jeremy Loops, GoodLuck, Shortstraw, Wheatus and more at the Lush Festival in Clarens! The Lush Festival is back! If you’re wondering what to do over the upcoming long weekend, there’s an epic music festival and tickets with your name on it – well, kind of. We’re giving two lucky winners a chance to win a hamper containing four Lush Festival tickets with general camping access valued at R3 180. It’s all going down at Noah’s Cheese outside Clarens from 18 to 20 April 2019. The beautiful artisanal cheesemaker is situated just 10km from the popular tourist town Clarens in the Eastern Free State. Destress, disconnect and treat yourself to an outdoor getaway with the best local music – and even American rock act Wheatus! Check out Jeremy Loops, Kim Churchill (Australia), Youngr, Spoegwolf, Jo Black, Shortstraw, GoodLuck, TiMO ODV, and more. The festival tickets include a camping pass – and the sprawling location allows you to camp with your cars! NOTE: Includes access to toilets and showers. The general camping area is not powered. Want to be one of our lucky winners? 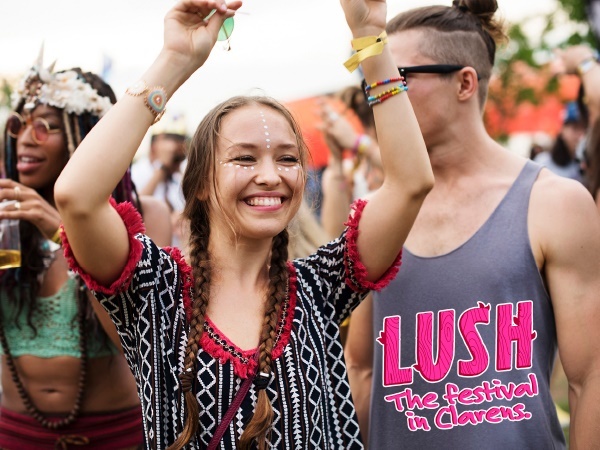 Simply answer the following question: Which famous American rock band will be performing at Lush Festival? SMS your answer, followed by your name, surname, age, contact details and full address to 33150. For more information visit lushfestival.com or email info@breakout.co.za. COMPETITION RULES, TERMS AND CONDITIONS: The competition runs from 28 March 2019 to midnight on 11 April 2019. You may enter as many times as you like. Each SMS costs R1,50. You must be the owner of the cellphone or have permission from the owner of the cellphone to use it to enter the competition. The prize does not include transport to the event, food or tents to sleep in at the campsite. Staff and their families of Media24 and the prize sponsor may not enter. You have to send the correct answer to the question to stand a chance to win. Winners will be chosen by random draw and will be notified telephonically. If a winner can’t be reached within three calls during business hours, a new winner will be chosen. Media24 and the prize sponsor take no responsibility for any damage caused by entering or taking part in this competition. Prizes are non-transferable and may not be exchanged for another prize or for cash. The prize sponsor is responsible for delivery of prizes within a reasonable time (4-6 weeks). It’s the winner’s responsibility to provide a daytime address for delivery or a postal address and to be present to receive the prize and/or timeously collect the prize from a post office. Media24 and the sponsor take no responsibility for loss of the prize should the winner not be present to receive it or neglect to collect it from a post office. By entering this competition, you consent to occasionally receiving promotional material from Media24.